I have enjoyed reading many of the blog posts of followers and those from the other writing communities that I have participated in. The Pagan Blog Project has been the stimulus for most of my Friday posts for the past three years and today marks the last post for this community. Jess Carlson has been wonderful as organizer of the weekly posts, providing the prompts and reminders. When the announcement was made a few weeks ago that Pagan Bog Project 2014 would be the last year of run, I thought about how this project has served as an opportunity to gain a broader perspective of the pagan community and those things that inspire the individuals part of it. 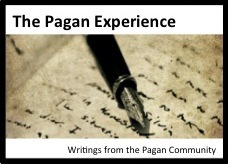 And, so The Pagan Experience was born. For most of us the turning of the Greater Wheel to the Winter Solstice (Yule) is one of welcoming the return of the Light of renewal and strength, the promise of increasingly longer hours of daylight and anticipation of warmer weather and a more outer world focused time. This change is subtle in physical form as this is also when the cold of the Winter (Northern Hemisphere) will remain for a few months more prompting us to retreat indoors as the early arrival of evening’s darkness envelopes and calls us into the warmth and light of home. In all spiritual practice, the thought of the physical being holding the Inner Flame of Spirit or The Divine Spark of Light is offered up as a basic concept. The semantics may differ. The way in which this Inner Light presents itself and interacts with conscious awareness may have different ideology. And, the tools and methods used to quicken its energy may be worlds apart in intent and function, but the premise remains the same. In the space of our dark nature lay a light that is luminescent and brilliant that may be called upon to enliven and transform our spiritual and mundane pursuits. If we take it a step further, this transformation is the direct result of collaboration and embracing the dark and the light natures of our consciousness and using each as support and spiritual catalyst of the other. This is just a brief writing to give consideration as we go about our task of spending for the Holidays and investing time and resources in all those things that we craft to make the holiday experience one that is bountiful. Additionally, the astrological support is primed and ready as Jupiter- the planet of prosperity, gain (in particular financial) and expansion transited retrograde on Monday. With all of this spending, giving and receiving shifting into hyper drive there is much to learn from the holiday experience and we are both teacher and student in the lessons about abundance of the manifest, and more importantly those that are not. We are all teachers as we move through this human existence. Some are formally trained and dedicated to that career, others teach as an avocation. But, the greater majority unknowingly instruct, guide and set example as they go through their mundane activities. If we think of each person we interact with as a student; one who is taking in the essence of how we carry ourselves, what we say and what our actions display then, we become more mindful of what lessons and messages we are sending. Conversely, we ourselves are students within another’s daily interactions. We pick up clues, both subtle and overt to what lessons that individual or group is sending out. 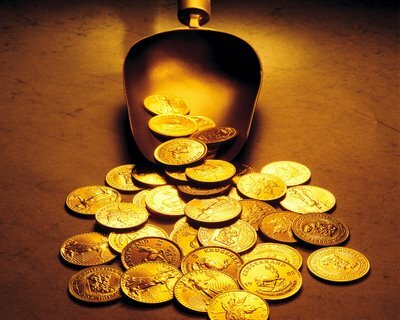 As givers and receivers of the gifts, lessons and treasures of the interconnected nature of our existence, let us “bank” on the investment of a positive nature, make our withdraws on those things of inspiration and generously deposit into a lifetime savings of “interest” in mankind. What will your deposits be this week? I’ve written several times on the importance of developing a personal practice and the work and efforts of fine-tuning what that practice includes and ultimately becomes. 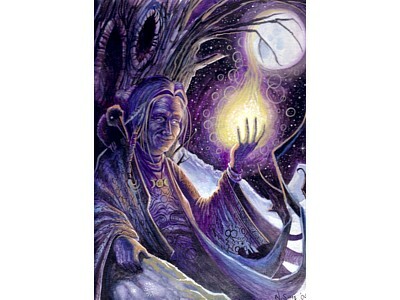 But something more is needed that will expand upon those singular and personal threads you’ve woven. That “something” is the expansive catalytic energy created by the intermingling of your ideas, philosophies and practice with that which others have crafted of their own. It is within this space of exchange, safe haven for disagreement and accord and body of enough like-minded individuals that we find the assemblage of what may be defined as a community. I like these definitions because they give clue to the multiple layers that community is and the varied forms it may take. This simple word encompasses geographic location, societal conditions, historical and philosophical commonalities and interaction among varied, yet like-minded individuals. In the broadest and simplest setting it is the coming together of those with shared interests on common ground. As we narrow it down a bit more, we see that the broader community is composed of smaller groups of individuals, who have even more in common and with shared interests. Moving in closer still, we separate out into the many traditions and practices that comprise the umbrella of what a pagan community includes. 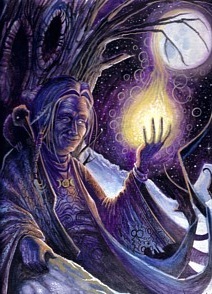 And, looking closer still, we see that even within our smaller pockets of community that are our covens, groves, lodges and more, there is yet a smaller community of individuals who share the common experience of expertise, lineage or mundane life. Some may disagree with my drawing the lens in so tightly and still calling it community, but if we use these definitions above we can loosely define community with as few or as many participants as we wish. I believe that one of the key points of distinction in what constitutes as community or not is the aspect of joint ownership and participation that is at the heart of that community. This implies that there should be a sense of co-creation at work in establishing what we identify as community; and without the active participation from all who wish to claim ownership of what has been created that cluster will soon wither and dry up. I have purposefully omitted comment on the efficacy of communal efforts, power plays and negative ego based agenda that flow as an undercurrent through all communities as this is a topic for a much lengthier essay. If we take all of the above dynamics into consideration, finding a home within a specific community adds yet another dimension of complexity in that the individual must feel comfortable, safe and identify that home as a place of nurturance and best interest. Becoming part of a group or frequenting the same open communal activities simply out of the need to belong and falsely molding yourself to fit in is not a great option. Nor is holding on rigidly to your own beliefs and remaining indifferent to the scope and breath of others experiences a positive practice. 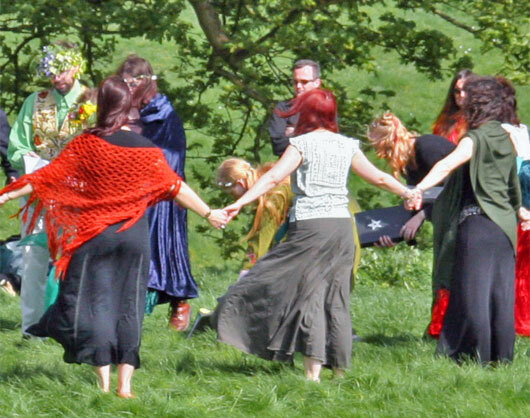 And, in the broader sense, neither of these conditions is a good foundation for creating a strong and resilient pagan community that will stand the test of time and remain viable regardless of what pressures are set upon it. Remember that definition of joint ownership? I would like to add responsibility to the mix as well. We are ultimately responsible for the life we breathe into our communities; the strength we lend to them and the intent we place upon them to grow in a functional and positive manner. It is our responsibility to ensure that our communities will attract the necessary energy that will move us forward as magickal workers, human beings and stewards of our lives and lands. The function of a healthy community is to be the legacy from which the next generation of seekers can draw upon and take to the next level of evolvement (or involvement). So, with the goal in mind of finding a community that will serve both your personal needs towards growth and contribute to the ever expanding diversity of that community, finding a place that you call home within this broad spectrum can often be overwhelming in choice. This is where the adage “Know Thyself” and the time spent in personal practice can serve as anchor and scale to weigh the pros and cons to where you choose to hang your hat. Each of us wants to find a place within community that feels right and is comfortable. A place where we can be our best and at times also be our worst and still remain accepted for who we are. This is one of the primary purposes that community serves. So, explore the offerings and opportunities to participate in summer Festivals, Pagan Pride Days, Open Rituals, Balls, Conferences and anywhere others on a similar path may gather. Meet others, share in common experience and enrich and expand your own connections outwardly. Then, drawing that lens inward, return to the space of your self and evaluate and reflect on how each of these settings felt. Who were the people that you felt most connected to? What are their practices and how do they align with your own? Do your research about those Traditions that you may not know and reach out a little more deeply, probing the waters, of those you do. Every community has its own nuances and subtleties, many of which are not apparent until you spend some time within them. But, there is also a wealth of obvious strengths and weaknesses if we take the time to open our minds and hearts and fully engage during the time spent in the setting and among the people with whom we are communing. Take the broadest of your experience within the larger community and then narrow it down, step by step until you find the one with which you resonate the most comfortably. This may be committing formally to a group or Tradition and the community they form, adapting communal practices to your solitary practice or participating routinely in select events that completely nourish and enlivens you throughout the year. The important thing to remember is that where you choose to make your spiritual home and the connections to that community that you weave often become the pivotal factors in how you progress along your chosen path. And, more importantly, the lessons learned from your experiences will ultimately inform what you then have to share with those whom you consider to be part of your larger community.